1. Establish a reference library of the echolocation calls of the aerial insectivorous bats from the region, describing standard call parameters to aid in future species identifications. 2. Compare general patterns of aerial insectivorous bat activity, species richness, diversity, and ensemble composition in forest fragments and control plots between 1996-99 and 2011-2014 (long-term comparison). 3. Compare the effectiveness and suitability of a stationary, autonomous recording system with conventional transect-based acoustic sampling for monitoring of aerial insectivorous bats. Improve the protocol to minimize effort and cost of insectivorous bat monitoring. 4. 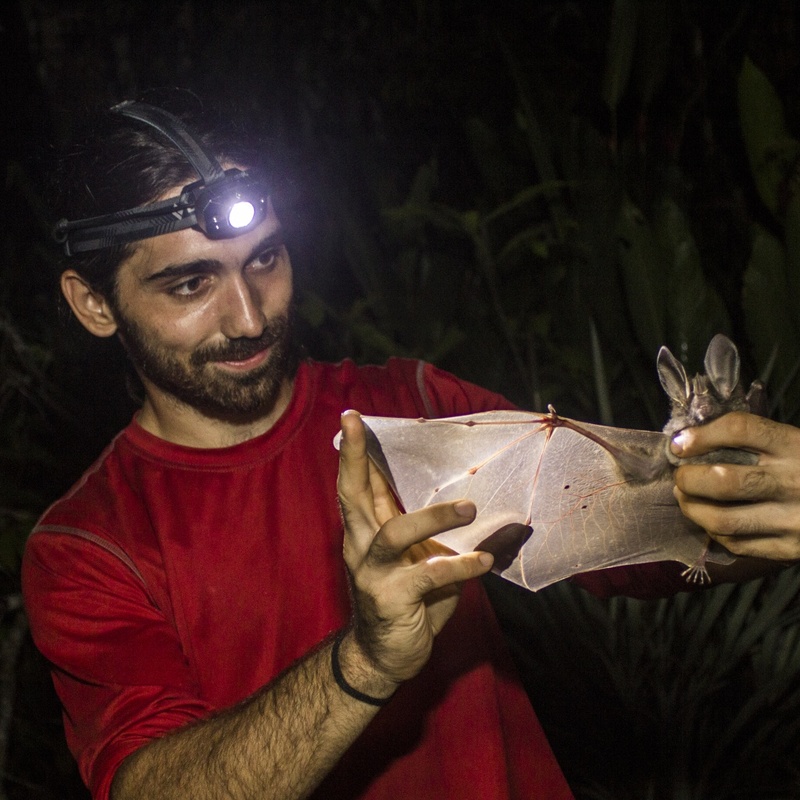 Assess how aerial insectivorous bats respond to forest edges across continuous forest edges. Rocha, R., Ovaskainen, O., López-Baucells, A., Farneda, F.Z., Sampaio, E.M., Bobrowiec, P.E.D., Cabeza, M., Palmeirim, J.M. & Meyer, C.F.J. (2018) Secondary forest regeneration benefits old-growth specialist bats in a fragmented tropical landscape.